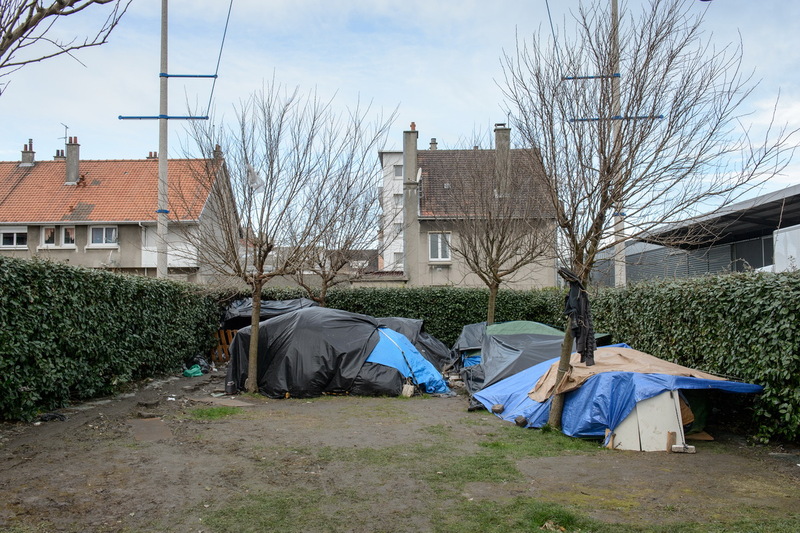 Calais, February 2014 Tents stand in a small park, not far from the port of Calais. In and around Calais, tents and shanties are spread out on the coast and the main road axes for lorries heading to the UK. In May 2014 police used bulldozers to dismantle three makeshift camps around the town, claiming that an outbreak of scabies threatened public health. Since then, several new camps have sprung up to shelter the migrants who keep arriving in increasing numbers.